I worked in the cellular industry for a very long time. Too long. Part of the job was to help customers troubleshoot their phones (“Did you try turning it off and on?”). Who knew this “skill” would come in handy later for something other than cell phones? I sometimes get emails from WordPress users asking for help because something borked when they activated one of my themes. The offender is usually one of the plugin running on the website. I’ve been working on PressBooks for a little over a year now, and we recently did a complete overhaul of the site’s main design as well as the webbook read view. 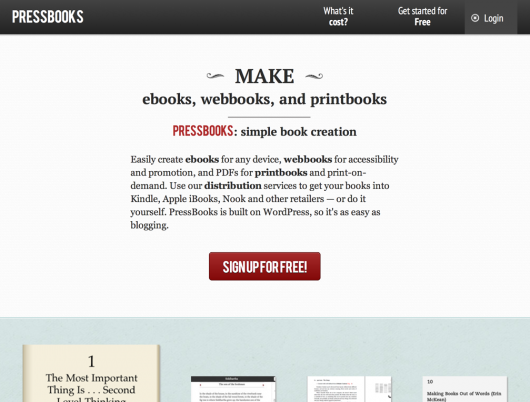 For those unfamiliar with PressBooks, it is a web-based ebook publishing tool built on top of WordPress. Pretty cool, huh? I recently had to transfer a client’s account from Blogger to WordPress. Although I had done as much research as I could beforehand (even tweeted the question out), I was surprised to find at how incomplete the information was out there. I’ve listed all the steps I needed to get this particular site transferred. Convert Categories to Tags using plugin. I really should write a full post on this since the previous steps don’t explain much. But at least for now you have an idea of the complexity of the process and that a full day’s work is ahead – especially if it’s an image heavy site.